Arguably winter is the time when most of the shopping happens. 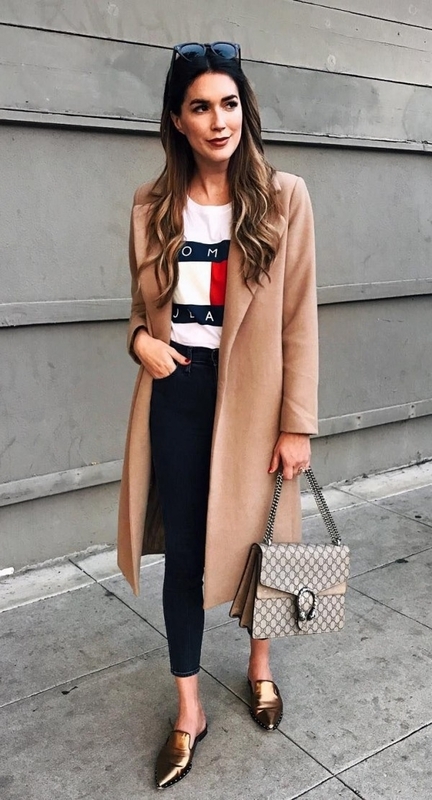 Trench Coats, Cardigans, Sweaters…. The list goes on. Buying winter clothes and just throwing it on mindlessly is not the solution. Winter wear clothes are so versatile that there are tons of styling options available. 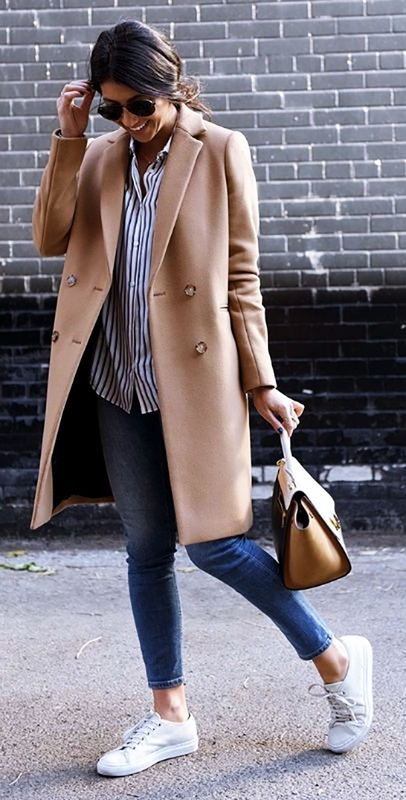 Casual work outfits for winter makes winter coats an integral part of your overall outfit. We often get stuck to the basic hues of clothing in winter, when there’s so much more. Winter clothing is all about adding a hint of rich clothing from blazers to everything button down. These are 40 casual work outfits for winter that are definitely the no-fail fashion combo. Not only the winters, mixed casual work outfit is taking the street style to office in the most sophisticated way possible. How awesome would it be if office allowed us to snuggle inside a blanket and work? A scarf is that accessory that wishes our dream come true, at least it tries. A scarf is a go-to piece that keeps you warm and cosy during the cold weather. Scarf add colour to your monotonous work outfit and makes it very trendy. 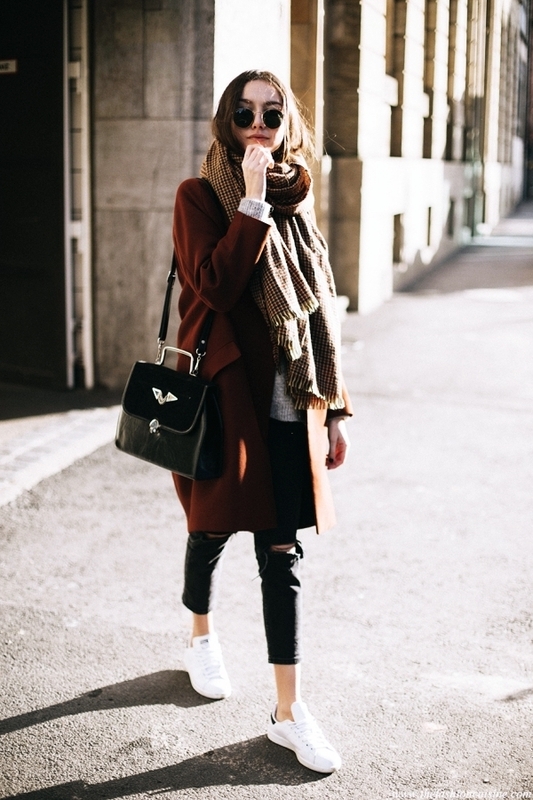 Let your scarf loosely draped over your blazer, hanging on either side. Look dapper in neutral colours or printed scarf. Make the blazer and scarf colour coordinated in spring transitional months. Such a win-win situation – endlessly warm and snuggly. Look stylish AF in office, with a warm scarf draped around you like a cape. Here’s a secret stylish tip, try an oversized scarf around your shoulder and tuck both end size with a belt on the front. Bonus points for a pop of plaids in burgundy colour. 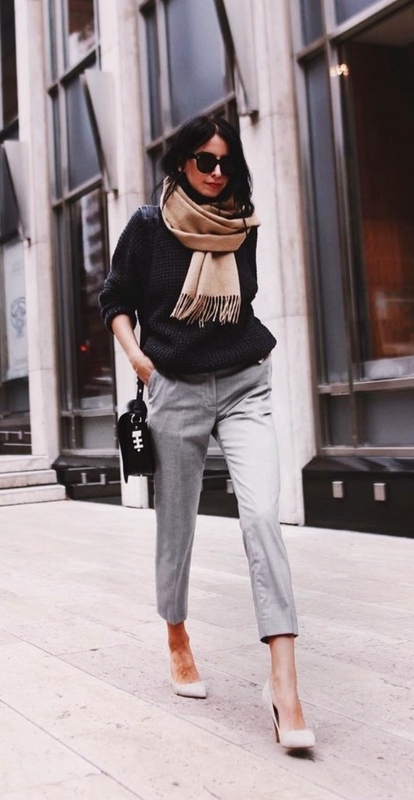 This stylish is ideally the best casual work outfits for winter. Look professionally stylish at the office, these dressing guide is here to save your day. When the weather starts to chill, a blazer is like an extra insurance policy to protect you from the chilly weather fronts. A blazer is a solid and stylish way to warm you up. Keep your blazer game up to make casual work outfits for winter. 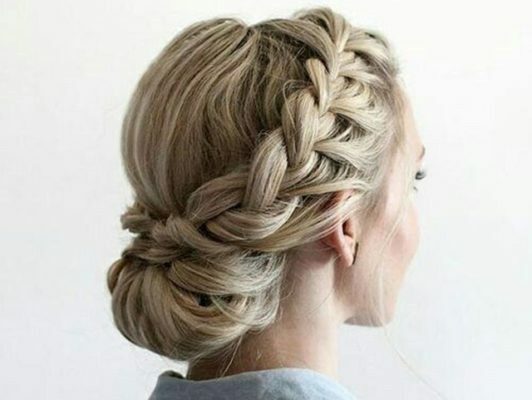 When in doubt, add an extra piece on top during winter. Extreme cold climate or a slightly chilly morning, blazer and skirt is the never-failing work outfit combination. 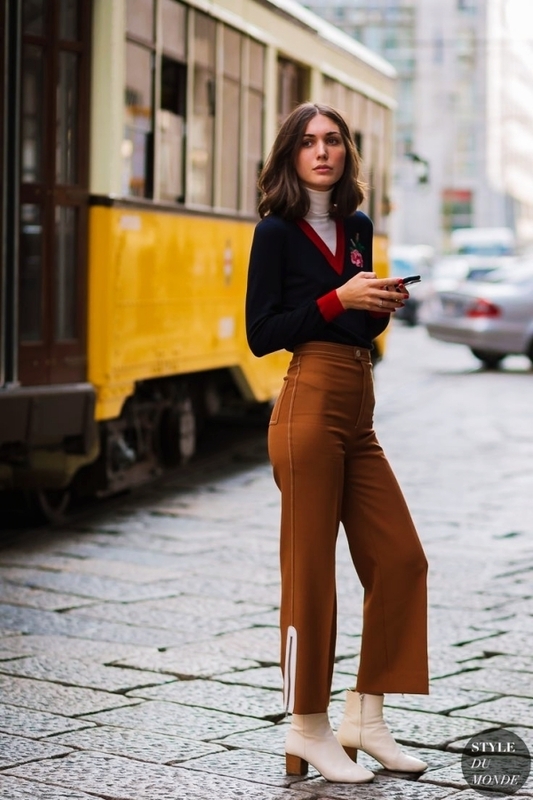 If you’re trend-obsessed then you must be aware that cropped flare jeans have made its way to seasonal clothing list. Flared pants are so casual and officially approved, it can be paired with any winter clothing. 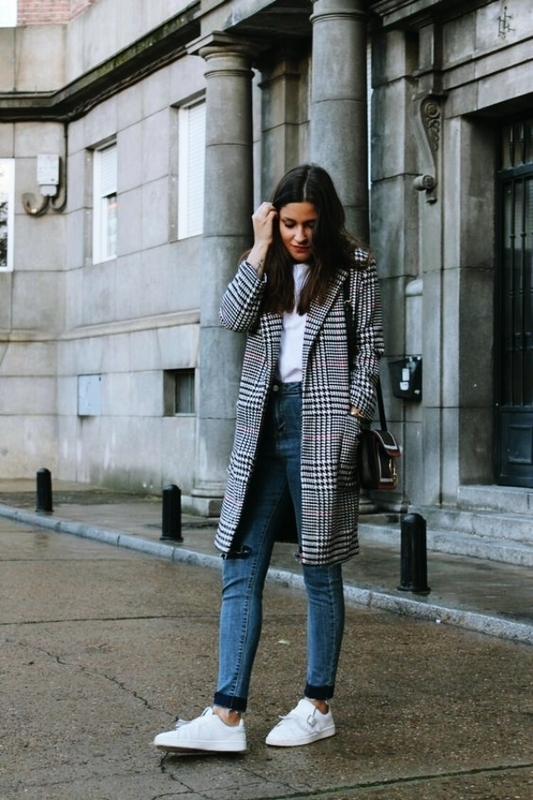 Flared jeans when paired with button-down shirt and blazer prove that without sacrificing style, you can be warm and cosy. For the plus size ladies, flared pants are a big no-no, it will only make them look bulkier. Puffy coats are perfect when you have zero tolerance level for the cold winds and shivers. Puffy coats are ideal casual work outfits for winter. Streamline your winter outfit, by pairing a puffy coat over a sheath dress. Awestruck your office co-workers with your casual work outfits for winters. Puffy coats break the boring office wear code, such non-boring outfits should be encouraged more often. Denim jackets with your favourite leather skinnies and sneakers make the best casual work outfits for winter. Denim is anything but basic, flayed edges, embroidered or sequined, looks so casual and funky. 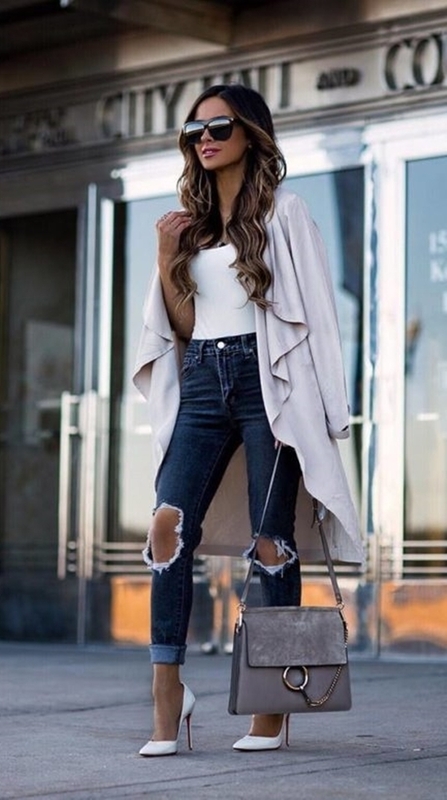 Denim jacket, skirt, pants, dresses – of all the denim pieces that you can wear at office, jacket is the most versatile clothing item. For daytime errands or post-work drinks, cardigans are so cute. Cardigans can be tucked and worn with a skirt or pant. It is such an indispensable piece of layering in winter. Play with rich colours and cool designs to match with your vibe. Skirts and cardigans are like peanut butter and jelly, never fails you! 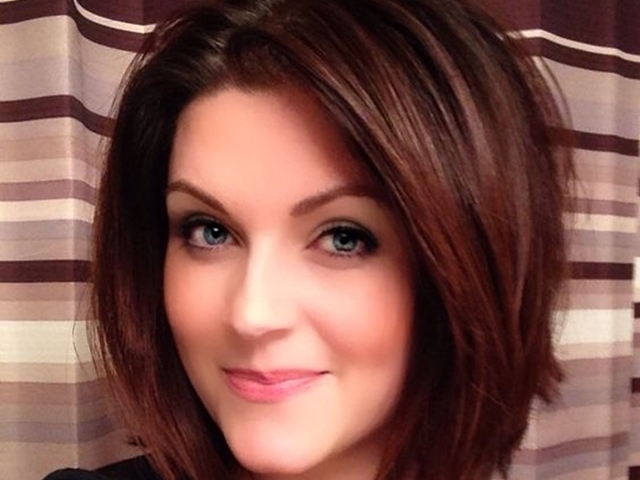 When it comes to wearing skirts in the corporate environment, leggings are so versatile. Without spoiling the look they make the complete outfit very elegant and chic. When the temperature drops, sweaters become our snuggle buddies. The cosy comfy feeling which sweaters give is irreplaceable. Wear it over your white collar shirt and pantsuit. You can never count the number of ways a sweater can be styled to makes casual work outfits for winter. Don’t wait to don this winter with these casual work outfits for winters. Every winter piece adds a formal touch making it completely work approved and keeps you feeling haute. Style every day, be the best-dressed employee, reflect your best personality and be confident.